The Marketing Arm hired Groove Jones to create an HTML 5 sweepstakes for their client AT&T as part of a promotional campaign with the MLS. 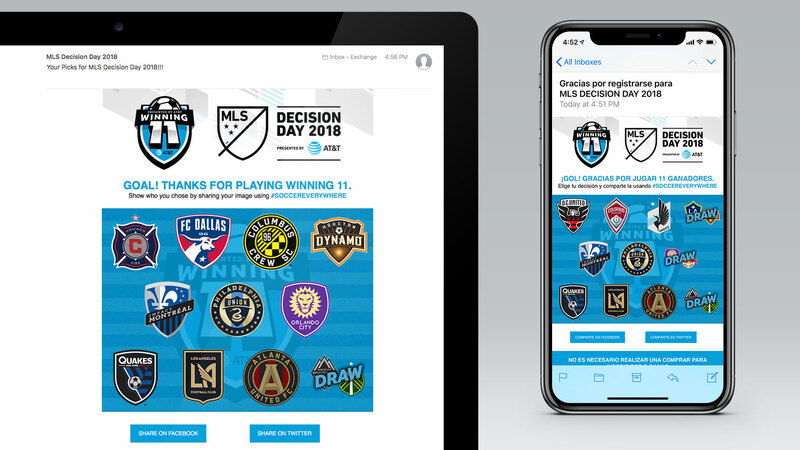 The sweepstakes promotion gives soccer fans the chance to select who they think will win on Decision Day on either their mobile device or on their laptop computer for a chance to win tickets to win a trip to attend MLS Cup on Saturday, December 8, 2018. Game on! Think you’ve got a good read on how things go down on Decision Day presented by AT&T? Want to be there when a new champion lifts MLS Cup? 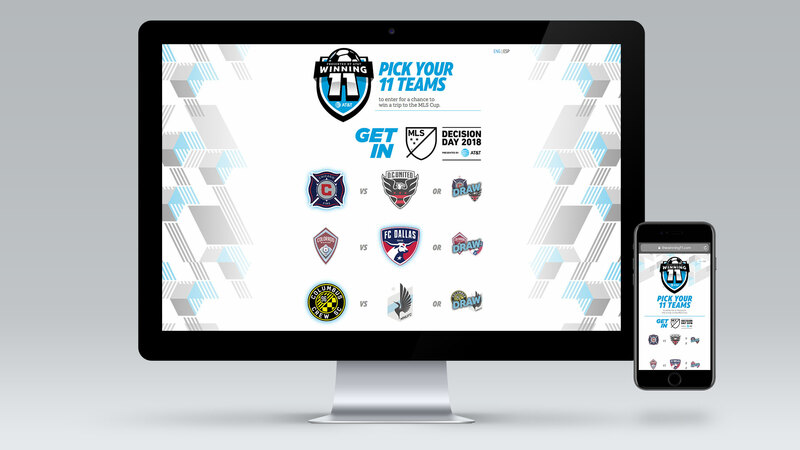 Then make sure you sign up for the ultimate MLS pick ’em contest, the Winning 11 presented by AT&T. The site was created in both English and Spanish. Participants can pick which teams they think will win the games on Decision Day. 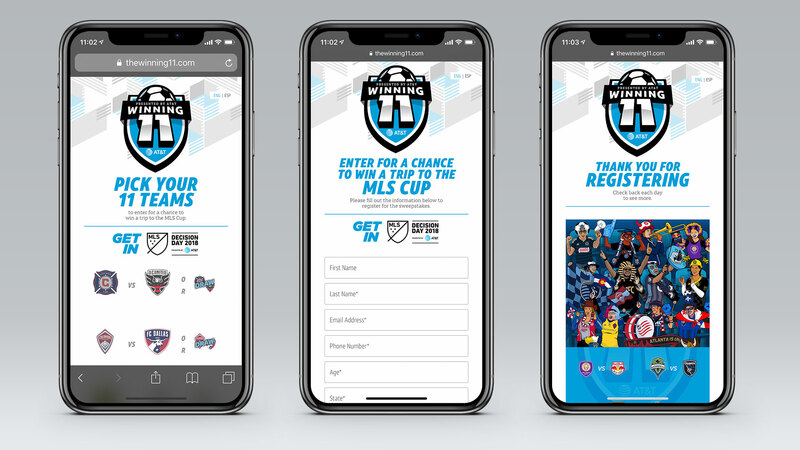 After they make their picks and fill out the sweepstakes form, they will receive an email with bracket showcasing the teams they selected to win.